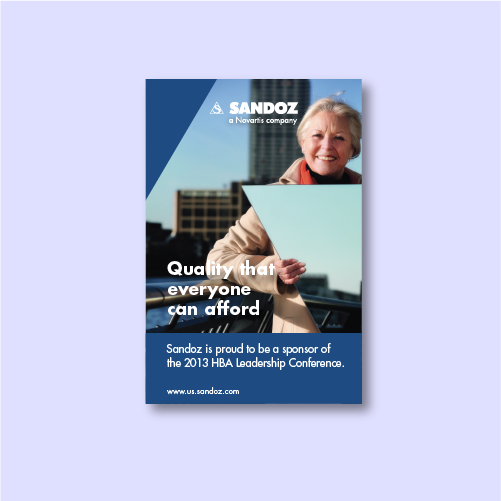 We created the theme and imagery for and posters, note pads, name tags and PowerPoint presentations for the Sandoz conference theme Reaching New Heights. 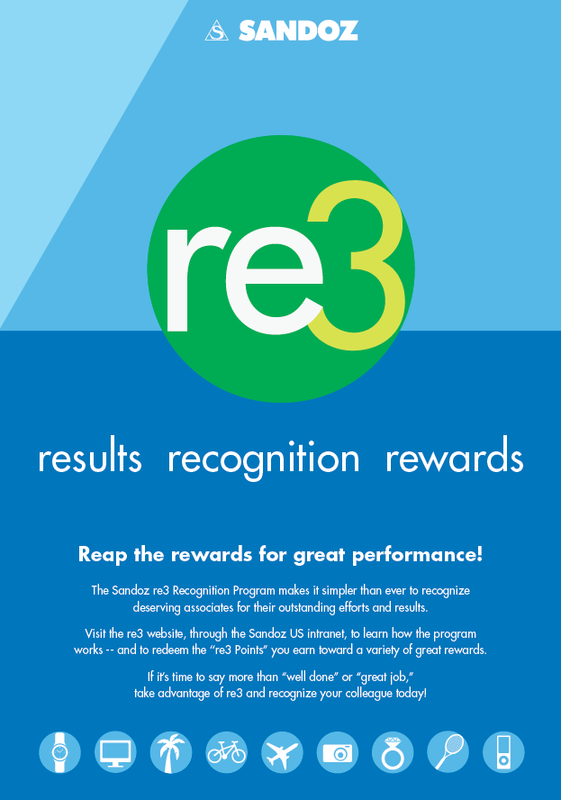 Sandoz needed to create a special look for their employees rewards program, Re3. 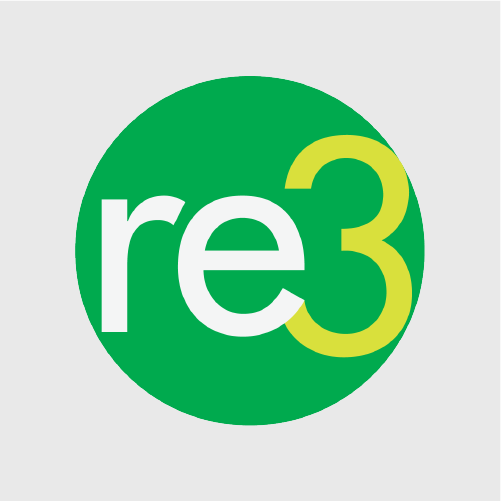 Working within corporate guidelines, the new design program is bold, bright, and helps spread awareness. In addition to web design, flash videos, posters, announcement letters and note cubes, award certificates were also created. 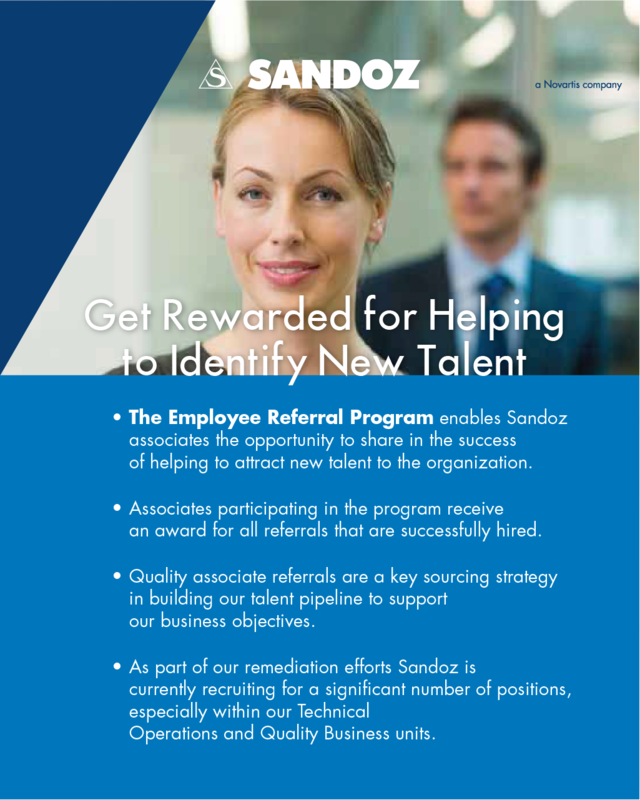 We created posters, stationery, PowerPoints and other materials for employee related communication and initiatives for Sandoz US.